Hamas blasts PA chairman for blaming the group for last week’s bomb attack against PA leader Rami Hamdallah. Hamas on Monday blasted Palestinian Authority (PA) chairman Mahmoud Abbas, after he directly blamed the group for last week’s bomb attack against PA leader Rami Hamdallah in Gaza and threatened sanctions against them. "This is an attempt to undermine the opportunity to achieve unity between Gaza and the West Bank. Abu Mazen is paving the way for chaos through which it will be possible to approve President Trump's plans and Israel's plans," the group said in comments quoted by Yediot Aharonot. "We condemn the irresponsible statements of the chairman of the Palestinian Authority, who has been trying for a while to subjugate our people in Gaza in a difficult and dangerous historical moment. While we are making every effort to achieve national unity, we were surprised to hear Abu Mazen’s belligerent statements which are burning bridges and reinforcing the split,” added the terrorist group which controls Gaza. Hamdallah was uninjured in the March 13 attack, which saw a roadside bomb explode as his convoy entered Gaza in what Palestinian officials have called an assassination attempt. Abbas said on Monday that if the attack had succeeded it would have "opened the way for a bloody civil war." He said the incident would "not be allowed to pass" and announced he would take unspecified "national, legal and financial measures" against Hamas. Last week, immediately after the attack, Abbas did not directly blame Hamas but placed responsibility for the attack on the "illegal" government in Gaza which is headed by the group. Hamas and Abbas’s Fatah faction have been at odds since 2007, when Hamas took over Gaza in a bloody coup. The two groups signed a reconciliation agreement in October, as part of which Hamas was to transfer power in Gaza by December 1. That deadline was initially put back by 10 days and then appeared to have been cancelled altogether after it reportedly hit “obstacles”. 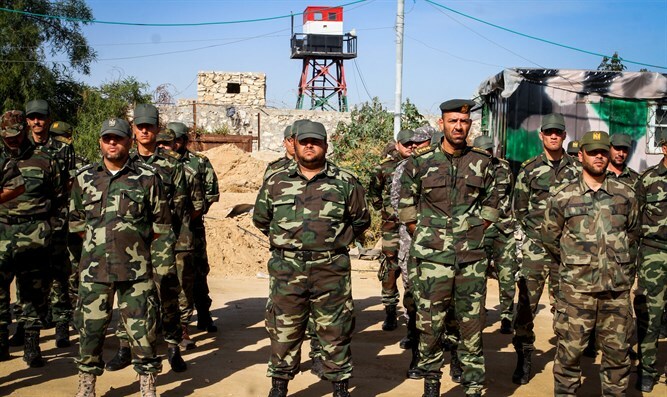 Last month, Hamas denounced the Hamdallah government over its policy of "deceiving, creating tension and deliberately neglecting the needs of the residents of the Gaza Strip."